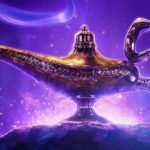 When Entertainment Weekly released exclusive images of Guy Ritchie’s Aladdin back in December, fans were a bit concerned about one aspect of Will Smith’s portrayal of The Genie: he wasn’t blue. Today, a new TV spot for the film offers the first images of Smith in all his blue-hued glory. The newly-released, minute-long spot finds the Diamond in the Rough entering the Cave of Wonders as Iago and Jafar watch on. 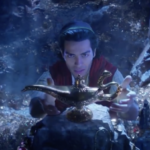 With an orchestral version of “Friend Like Me” playing, we soon see Aladdin rub the lamp, revealing the Genie. Other elements of the spot also seem to show the Prince Ali section of the film and give us a look at Jasmine. 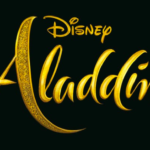 Disney’s Aladdin jumps into theatres May 24th, 2019.